Great News for DIRT DIARY Fans! In the sixteen months or so since the publication of Anna Staniszewski's THE DIRT DIARY, this tween side-splitter has been burning some serious rubber on the book track. In this book, we met fourteen-year-old Rachel, who starts helping out with her mom's new house-cleaning business, only to find herself inside the homes of some of the most popular kids in school—and discovering all their secrets! Readers everywhere promptly fell in love with Rachel and her adorably quirky antics. Translation rights have been sold in France, and Scholastic Book Club sales alone have passed the six-figure mark. THE DIRT DIARY was followed last summer by its sequel THE PRANK LIST, and THE GOSSIP FILE came out this January. So... is that going to be the end of Rachel's adventures? Will we ever again be able to laugh with—and, let's be honest, AT—her as she bakes her way into yet another scrape? Great news, people! WE WILL! I'm delighted to announce that Anna Staniszewski has accepted a publication offer for the fourth book in the DIRT DIARY series. THE TRUTH GAME will be published next year, and I for one can't wait to read it. The cover of Luke Reynolds' new picture book is a galactic triumph! BEDTIME BLASTOFF! is zooming its way to your bookshelf in February 2016. While you wait, enjoy the preview of the fabulous cover illustrated by Mike Yamada. Congratulations, Luke! Check out the cover of C. G. Watson's ASCENDING THE BONEYARD! Isn't it thrilling? We've fallen hard for it and can't wait until we can share the whole novel with the world next spring. Congratulations, Carrie! Welcome to the world, WHEREVER YOU GO! 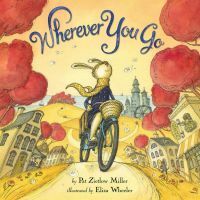 That's right, Pat Zietlow Miller's next picture book, WHEREVER YOU GO, releases today. It's gorgeous, heart-warming, and one you'll love reading over and over again. We're so glad it's available now, just in time to make someone a wonderful graduation gift! Congratulations, Pat! 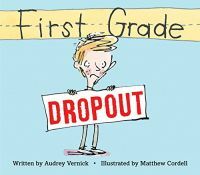 It's a lovely starred review for Audrey Vernick's FIRST GRADE DROPOUT! Publishers Weekly thinks "readers will be won over" by the young narrator for his "self-awareness, timing, and raconteurship of a master monologist." They say "so effective is Vernick in conjuring the boy's blush-inducing, sweat-triggering embarrassment, readers young and old will probably find themselves flashing back to their own not-quite-forgotten moments of humiliation." Very true! Watch for FIRST GRADE DROPOUT on July 7th. Congratulations, Audrey! We absolutely love when a debut author's first review comes in and it's starred!! Such is the case for Tamara Ellis Smith's ANOTHER KIND OF HURRICANE. Kirkus praises the "elegant prose and emotional authenticity." 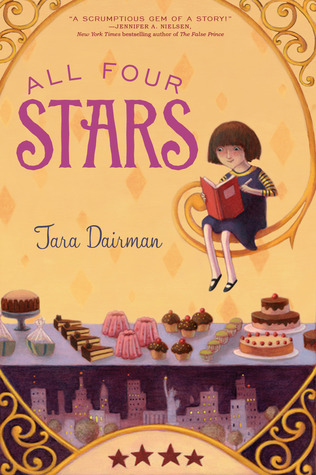 They say the middle-grade book "will make this title sing not only for those who have experienced tragedies, but for everyone who knows the magic that only true friendship can foster." Beautiful! Make sure you watch for ANOTHER KIND OF HURRICANE in July. Congratulations, Tamara! We couldn't be prouder of you and your fabulous book! It's a starred review for Jennifer Chambliss Bertman's BOOK SCAVENGER! And what a review it is! Publishers Weekly has so many good things to say about it that picking a quote is hard. They say the middle-grade novel is "full of heart and replete with challenging ciphers for readers to decode, Bertman's debut is literary cousin to classic puzzlers like THE WESTING GAME, and a story that values books and reading above other pursuits. Sure to be popular with voracious readers." Congratulations, Jennifer! We can't wait for readers to get their hands on this one in June! Want a beautiful way to start your day? Take a gander at the cover of Suzanne Nelson's SERENDIPITY'S FOOTSTEPS! It's gorgeous! It makes us smile just to look at those photos. Watch for the book in November. Congratulations, Suzanne! Now available! As of today, new formats for some of readers' favorite books are for sale. 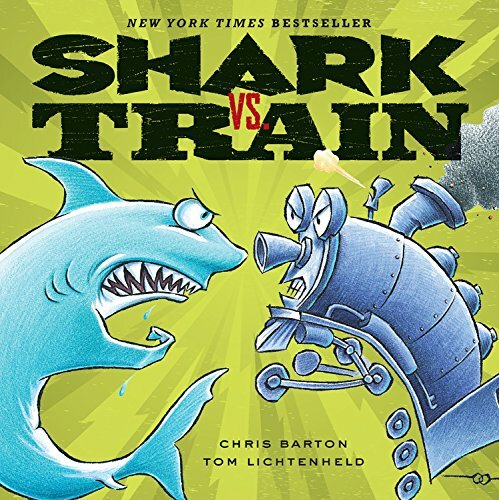 Chris Barton's SHARK VS. 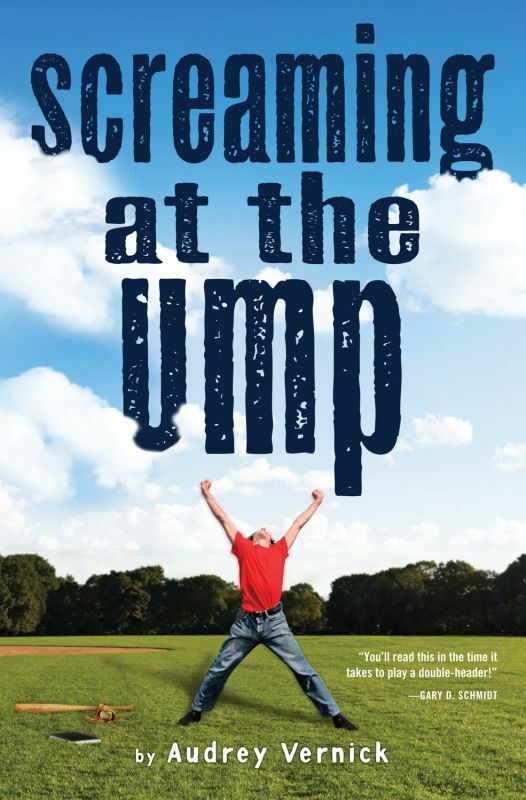 TRAIN is now a board book, and Tara Dairman's ALL FOUR STARS and Audrey Vernick's SCREAMING AT THE UMP are in paperback. Welcome to the world, dear books! Congratulations, Tara, Chris, and Audrey! Counting Down for John Micklos, Jr.
DADDY POEMS and MOMMY POEMS author John Micklos, Jr.'s untitled rhyming text combining counting, colors and the seasons, illustrated by A BED FOR BEAR artist Clive McFarland, to Nancy Paulsen at Nancy Paulsen Books, by Erin Murphy of Erin Murphy Literary Agency for the author and Anne Moore Armstrong of Bright Group International for the illustrator (world). An INTERSTELLAR Star of CINDERELLA! It's a starred review for Deborah Underwood's INTERSTELLAR CINDERELLA! 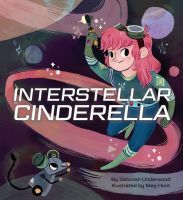 Publishers Weekly loves "this futuristic take on Cinderella" and calls it a "another strong showing from Underwood, and a notable debut for [Meg] Hunt," the illustrator. Watch for this one May 5th! Congratulations, Deborah! The AMAZING AGE OF JOHN ROY LYNCH gets its second starred review! Great news for Chris Barton's THE AMAZING AGE OF JOHN ROY LYNCH as it receives its second starred review! Booklist calls this "fascinating story" a "stirring treatment" of a "unique and relatively unknown figure in African American history". Congratulations, Chris! This is one moving book! Hayley Barrett Breaks It Out with her Debut, BABYMOON! It was with great joy that I welcomed my newest picture book author, Hayley Barrett, into the EMLA family a few short months ago. After a year or more of corresponding together, I absolutely knew that she was someone I had to work with—her voice and stories were that rich and moving. One piece in particular made my heart glow each time I read it: BABYMOON, the gentle, lyrical tribute to a new baby's birth – one of those rare texts you absolutely know will go on to be a timeless classic. To my great joy—and no great surprise!—I'm delighted to say that BABYMOON got immediate attention, and only a few weeks after signing Hayley on, we heard that an offer was on the way. Today, that offer can be shared at last: I'm thrilled to announce that BABYMOON has been acquired by Mary Lee Donovan at Candlewick! I'm so happy to welcome my newest client and also to announce our first deal together. It's not the first picture book for Miriam (or for her talented husband, illustrator Larry Day); their picture book, LION, LION came out last fall to great acclaim, landing on the Bank Street list announced last week. Alessandra Balzer at Balzer + Bray has signed up Miriam Busch and Larry Day, the team behind LION, LION, for their new picture book, RAISIN, the story of the littlest cow who does not like change at all and really doesn't like the idea of getting a baby brother...until even tinier Currant comes along and changes her mind. Publication is scheduled for Winter 2017; Tricia Lawrence at Erin Murphy Literary Agency represented the author for North American rights and Amy Rennert at the Amy Rennert Agency represented the illustrator. It's no April Fool's joke! Today is the much anticipated release of Chris Barton's THE AMAZING AGE OF JOHN ROY LYNCH. 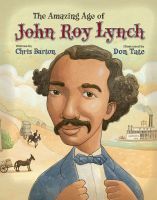 This wonderful picture book has already received two starred reviews and tells the remarkable story of Congressman Lynch, a key figure during the Reconstruction Era. Prepare to be inspired! Happy book birthday, Chris!